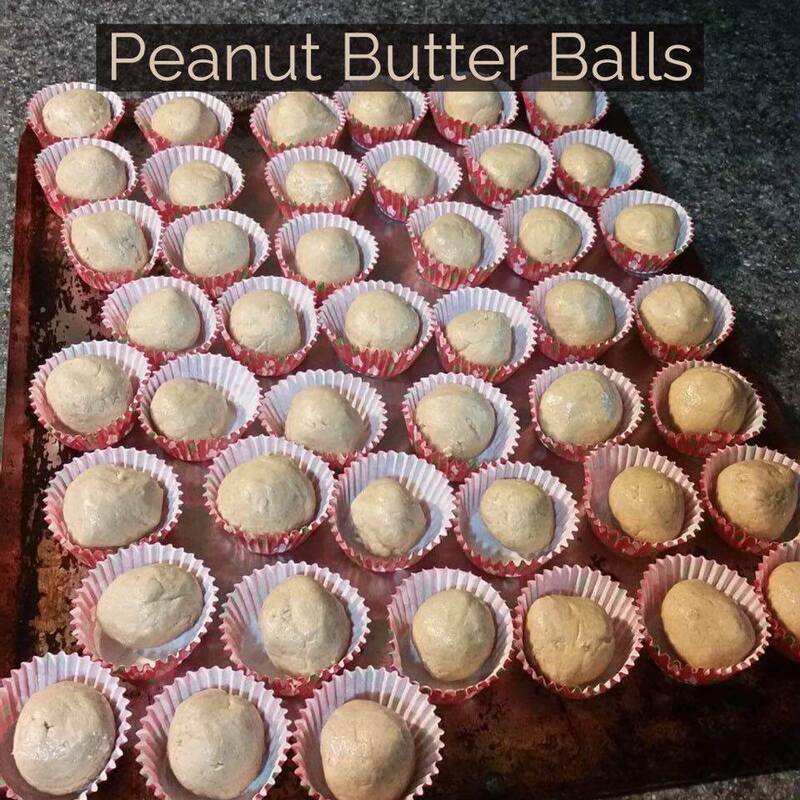 There are so many variations of peanut butter balls floating around , but this is how we roll them in our family! (sadly, the pun was intended). We use equal amounts of peanut butter and icing sugar (for those south of the Canadian border, I do believe it is called confectioner's sugar). Mix it all together really well; adding more icing sugar as needed to make it a consistency for rolling. I usually add a half cup at a time. Roll into balls. I use a 1/2 tbsp measure so they are sort of the same size. We always do two batches and we add finely chopped dates to one.